This exciting new kennel system is designed to withstand the most extreme weather. Fully structural kennel system means these are the most durable kennels on the market. 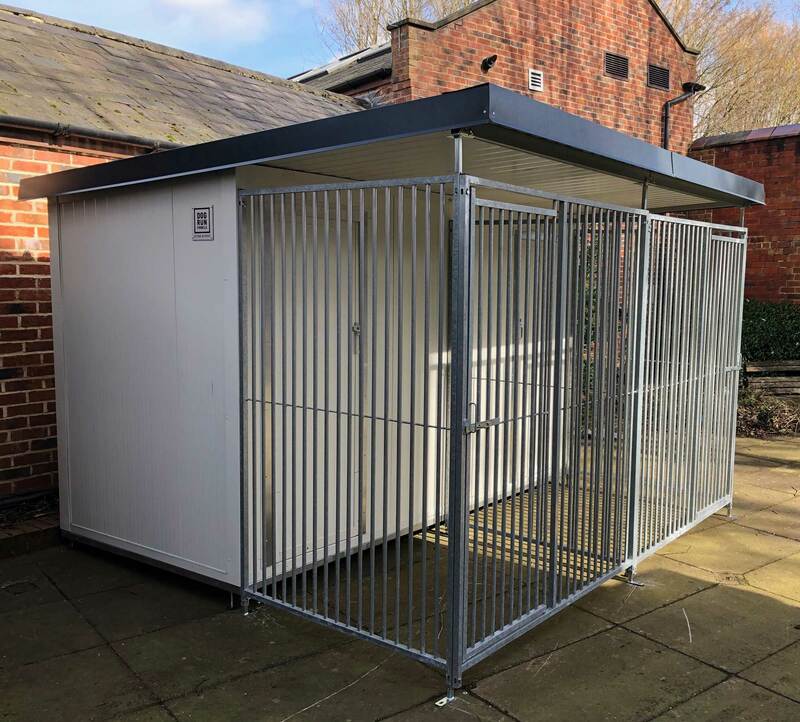 These thermal dog kennels are manufactured on a galvanised raft so you don’t need to put down a concrete base which can be a big cost saving, these will sit on concrete, slabs, blocks or even gravel. These kennels are 6 times more thermally efficient than pvc or grp kennels. We have designed this system so that it is bespoke so we can build any size or configuration, fully modular design. Our new thermal dog kennels are an exciting new development in dog kenneling. This innovative new design means that the kennels don’t require a concrete base to lay the kennel on, so there is significant savings to our customers as they don’t need to lay a concrete pad. These kennels can be placed on any surface, concrete, block paving or even gravel as they have an adjustable galvanised raft which allows easy set up and levelling . Another advantage is that they can easily be lifted up and moved around to a new location. 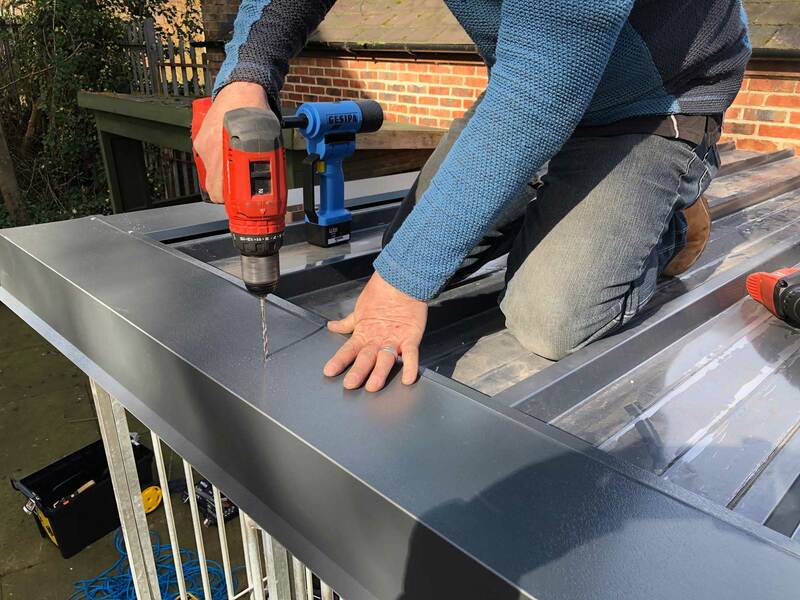 These are manufactured from 40mm thick super efficient steel composite that offers 6 times the thermal efficiency over pvc or grp materials used by other companies. These kennels are fully structural and are designed to cope with very high wind speeds and heavy snowfall, these are really strong kennels that are designed to last and perform for many years to come. The new thermal dog kennels also have very good acoustic properties so they will keep the noise down from barking dogs, which should please your neighbours. 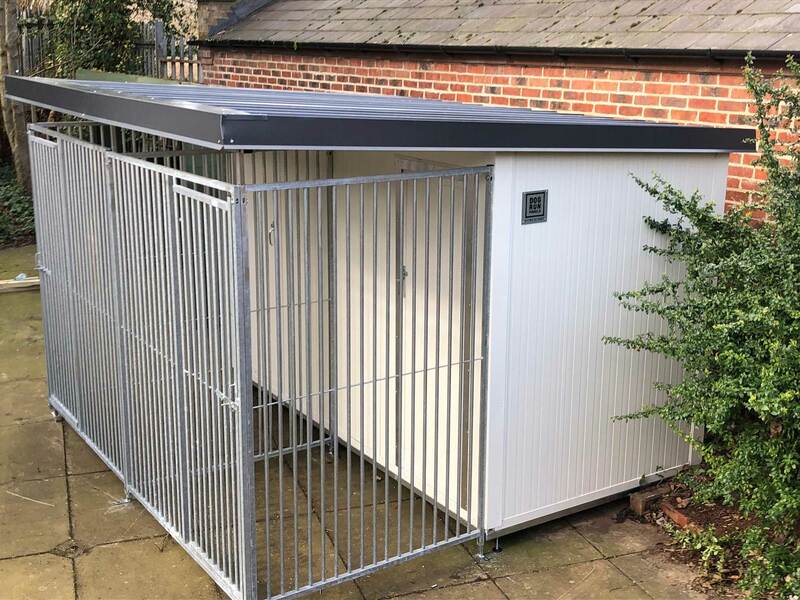 The kennels have also been designed so that a drainage system can be fitted underneath the kennels to take away waste water to a drain point if required. These new kennels are completely bespoke so we can build any size of sleeping areas and run areas to suit your requirements. Just contact us to discuss your requirements and we will work with you to deliver what you want. We can fit windows and sliding hatches easily into the new system. These new thermal kennels have been designed so they are fully modular so they can be supplied as single units or you can just add an extra pod on to extend this. 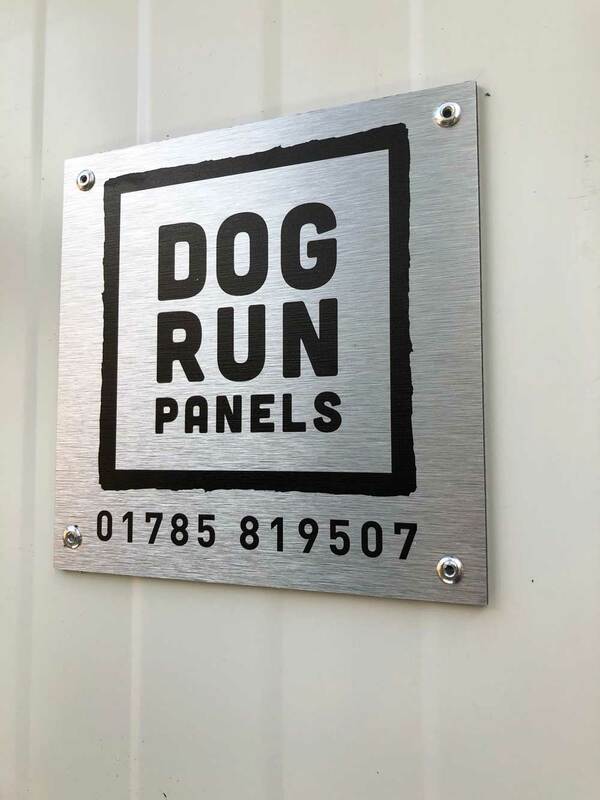 For further details on this kennel system then please call us on 01785 819507 or come and see us!